Time for the European stage racing to begin. It’s been a long Winter and I can’t wait! 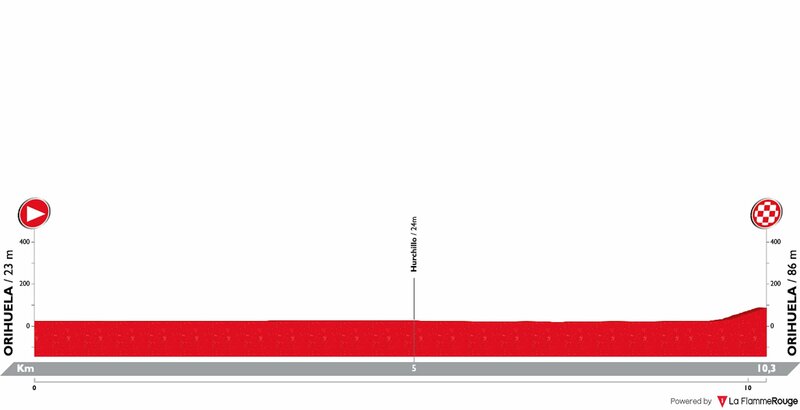 The race kicks off with a 10.3km ITT, but you can see it’s not all flat. The final kilometre rises at an average of 6.4%, but that doesn’t tell the full story. The riders hit a wall in the final 400m, this will be a fun TT to watch. It’s certainly not a flat stage, but this should really end in a sprint. The long descent into Alicante will put the teams off setting a fast pace on the climbs and the sprinters should be fighting it out for the win. The GC fun begins with an interesting finish in Chera. There are a couple of cat 3 climbs in the closing 12km and an uphill kick to the line. This will make life too difficult for the quick men and we’ll see the puncheurs and GC riders fight for the victory. The main contenders will approach this finale with great care as the roads are narrow and I expect to see some gaps. A big day of climbing ending with 4.2km at 6.9%. This is the Queen stage and the battle on the final climb will decide who takes home the crown. If you remove the easy start to the climb, it is 3.3km at 9.2%, which will hurt the legs of most riders. 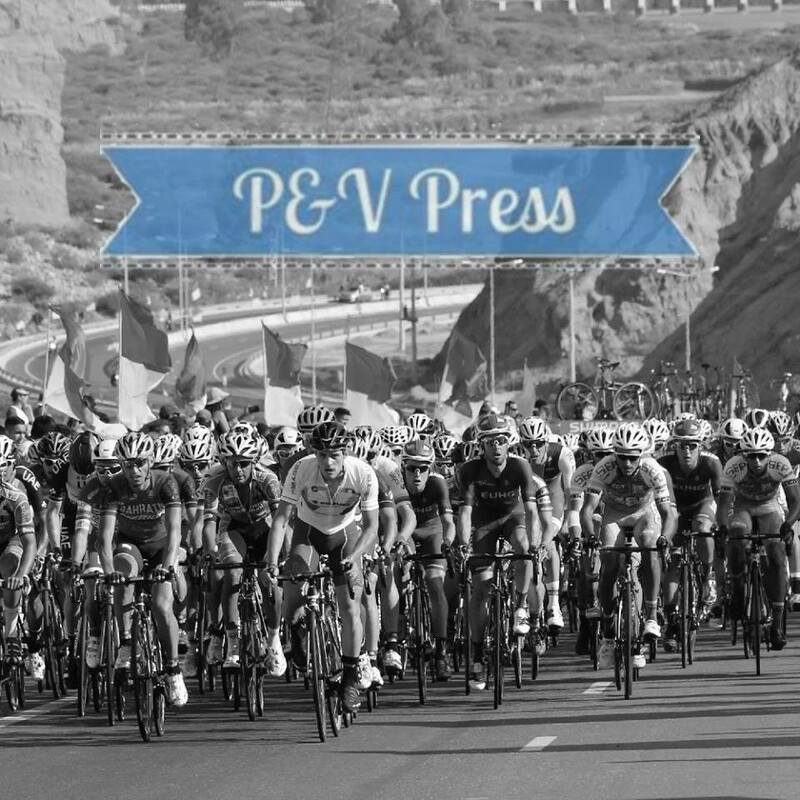 The final stage is no more than a criterium around the streets of Valencia. A day for the quick men. The opening stage will have the big engines licking their lips. Yes, there is a climb at the end but they’ll still fancy their chances of taking the stage by a comfortable margin. Stage 3 isn’t hard enough to drop the best TT riders, meaning the fourth day is the big one. With bonus seconds on offer for the winner, the TT boys will be hoping to hang tough and limit their losses, but this will be tough. Around 4km at 7% will be very hard for any of the heavier riders and this is where the puncheurs and climbers will look to take the overall win. A punchy climber with a strong TT has to start as the big favourite for the race. Alejandro Valverde – 4th, 10th and 3rd in the recent Mallorca Challenge, but I wouldn’t start talking about any curse just yet. The world champion has enjoyed his Winter, clocking up a lot of kilometres in his home region of Murcia. Heading into this race, he knows the stages are just about perfect for him. Valverde will be fully focused on the TT, as it’s vital he doesn’t lose much time to his GC rivals. He then has two opportunities to pick up a win, in stages 3 and 4, plus the bonus seconds that are on offer. Movistar have a strong squad to support his ambitions, everyone will be hoping for an early win in the rainbow jersey. David De La Cruz – his first season at Sky didn’t exactly go to plan. Yes, he managed to pick up stage wins in Andalucía and Paris-Nice, but his best GC position was 3rd in Burgos. Due to the strength of Sky’s squad, De La Cruz doesn’t get many leadership opportunities, which means he needs to grab them with both hands when they do come along. This is one of those moments. He’ll be hoping for a quick TT, putting him into a strong overall position. This will allow him to ride defensively on stage 4 and hope to follow Valverde and co.
Adam Yates – understandably, the focus has been on his brother after a wonderful 2018, but let’s not forget that Adam is a fantastic rider too. He’s not always that great on his TT bike, but over such a short distance he should be able to limit his losses. This will allow him to attack the Queen stage and put pressure on his rivals. Mitchelton-Scott arrive with a squad full of big hitters, they’ll expect to be challenging for the overall title. José Gonçalves – you might be surprised to see him make this section, it’s certainly been a while. When he’s good he’s really good, the rest of the time he’s awful! On his day he can challenge the best in a TT, and he packs a fine uphill sprint. If his head is in the right place, the Portuguese rider has a chance of pulling off a big surprise. Either that or he finishes last. Dylan Teuns – the Queen stage is perfect for the Belgian to shine. This is his first race for his new team, no doubt he’ll be wanting to impress. Teuns goes well on his TT bike, he should be able to beat a lot of the GC challengers and put himself in a strong position in the overall battle. Obviously, as this is his first race his form is unknown. Luis Leon Sanchez – just like his friend Valverde, Sanchez gets better with age. After enjoying an impressive 2018, you can bet that he’s thirsty for more in 2019. The Murcia man started off in the Tour Down Under, finishing an impressive 4th place. Astana arrive with a strong team; the TT will determine who gets protection later in the week. Jesús Herrada – he’s another that likes to start the year off with a bang. After taking a win in Mallorca, he’ll be full of confidence coming into this race. The Spaniard is a fine rider, but he’ll lose too much ground in the TT to challenge for the win, but the top 5 is a realistic ambition for him. Both stages 3 and 4 are well suited to Alejandro Valverde. I expect him to be competitive in the TT, he always is in Spain, setting himself up for the GC days. I fully expect him to retain his title.